If you're a gun owner looking for a reliable source for gun belts and holsters, you've come to the right place. 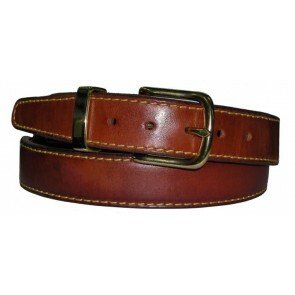 High Noon Holsters offers an extensive selection of gun belts featuring unmatched quality and performance. As a leading producer of belts and holsters with more than 20 years of expertise, you can count on us for a superbly handcrafted belt designed for use with your holster, regardless of type. You will also enjoy the benefit of our industry-best customer service to ensure the best possible buying experience. Our tactical holster belts are designed for optimal use with our leather and Kydex gun holsters and are uniquely crafted as a platform for our holsters. Whether you’re out in the field or using our tactical holster belts for concealed carry use, our tactical holster belts are comfortable, designed for optimum tactical performance, and ruggedly built to withstand everyday use--wherever you may be. 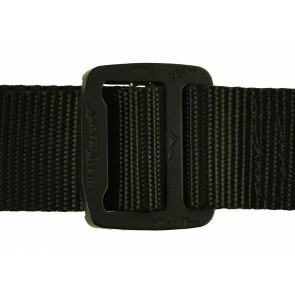 Tactical: Made to comply with stringent military specifications, these Delta belts feature nylon webbing that ensures reliable, long-lasting performance. The quick-release button is the only one of its kind approved by Special Operations. 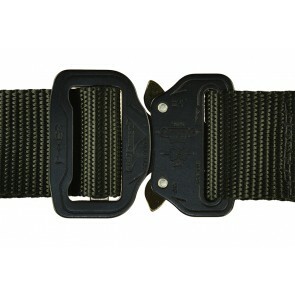 These belts are also compatible with our Kydex and Hybrid holster lines. They can fit waist sizes ranging from 26" to 46". 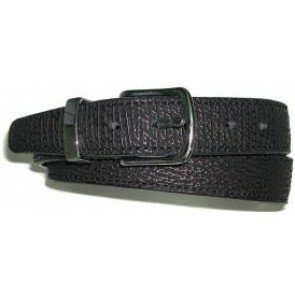 Color choices include black, coyote tan and OD green — although the buckle only comes in black. Four different model options are available: Delta-C, Delta-F, Delta-R (Reinforced) and Delta-I (Infinity). Rock Steady: Rock Steady belts are the preferred choice of D-CO, a network of Veterans whose mission is to deliver security services provided by retired military personnel to businesses and organizations across the U.S. Designed to accommodate the weight of most handgun models, these belts feature premium-grade, reinforced leather for maximum rigidity and support. 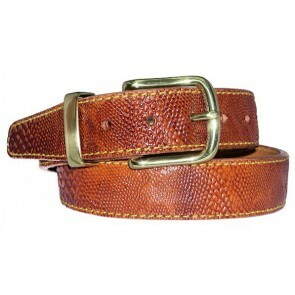 The intricate stitching around the perimeter gives the belt additional stability, along with a classy appearance. 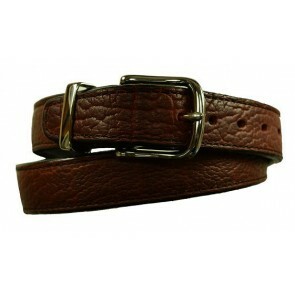 Choose from cowhide or horsehide, as well as multiple color and waist size options. Available belt widths include 1-1/2", 1-1/4" and 1-1/2" tapering to 1-1/4". Rock Steady Exotic: If your style tastes lean toward something a bit more "daring," then you'll want to explore our selection of exotic belts. 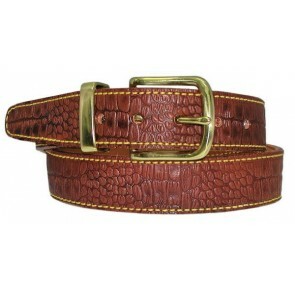 Available in Bison and Shark material, these brown-colored belts are sure to make a lasting impression. 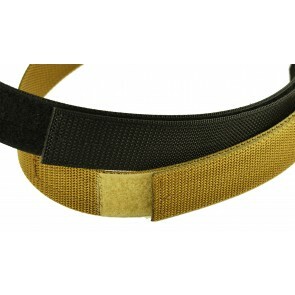 We offer these belts in waist sizes ranging from 30" to 48" and in 1-1/2" and 1-1/4" widths. 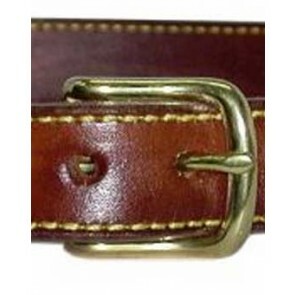 You can also select a brass or chrome buckle. 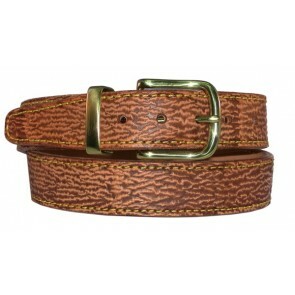 Rock Steady Embossed: We also offer embossed belts that enable you to make a bold style statement. 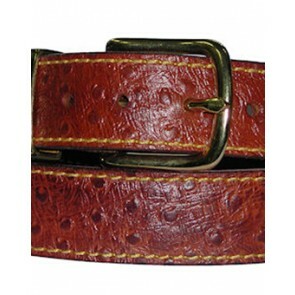 Choose from embossed Ostrich, Alligator, Python or Shark leather in a black, tan or natural color, as well as chrome or brass for the buckle. As with all Rock Steady belts, the embossed models include a quick-change decorative post and screws for fast, simple changing. No matter which gun belt you decide to purchase, we want you to be totally satisfied with the item — meeting the needs of our customers has been the driving force behind High Noon Holsters for more than 20 years. If you're not happy with the item, give us a call as soon as possible, and we'll do our best to correct the problem. If the belt doesn't fit or there is another "non-fixable" issue, you can return it within 14 days of receipt for a refund — no questions asked. We also offer a lifetime warranty against manufacturer defects for your protection and peace of mind. If you're tired of trying to muddle through confusing, disorganized websites when purchasing your handgun supplies, you're in for a welcome change when you order from High Noon Holsters. You'll be able to find the gun belts and holsters you're looking for quickly, saving you time and aggravation. You'll also appreciate our simple shopping process. Just add the items you want to buy to your wish list and then complete the streamlined, secure checkout process. You'll also have a variety of payment options to choose from, including PayPal, MasterCard, Visa, American Express and Discover. High Noon Holsters strives to fill every order as quickly as possible. If the item is currently in stock — as indicated in red at the top of the product page — we can typically ship it within one to five days. Non-stocking products will take longer to arrive, although if you choose our rush service, you can have it in as little as seven to 10 days! Please take a minute to review our belt inventory and feel free to contact us if you have questions or would like additional information. Make High Noon Holsters your one-stop source for holsters, belts, accessories and more!